Been a bit since I peeked at some of the old posts. Meanwhile I guess a bot snuck in between WordPress updates and posted some garbage posts using my name. They weren’t me, honest! Housekeeping from Palm Beach Roofing Expert complete. Back to your regular, irregularly updated blog. Recently I started a new job at Amazon (Fulfillment Center). CST, or Control Systems Technician. Sorthand, my job is to make sure that all the little computerized bits and bobs that keep things runnning do so, so that the people that actually work hard can do their jobs. That’s what, or more correctly, who this post is about. All those other people working here. I really haven’t been here that long but here are some observations. But first some tidbits to give a little perspective. The bulding sits on a foot print of 1.2 million square feet. It’s slightly longer than a third of a mile long. Some areas 2 floors, others 4. It’s filled with conveyor lines shuttling yellow totes along miles of conveyors. I’m not sure of the exact number, but I’d guess somewhere between 15 and 20 miles of it. And in those totes are orders for Amazon customers that are being picked, packaged and shipped. How many orders? The exact numbers are probably in the proprietary or trade secret category, so while I won’t give any out, put your pinky over your upper lip and the number that comes out of your mouth would still be under the record day here. It’s nicknamed “The Beast In The East.” It’s big. 13,000 steps (6+ miles) for me on a workday isn’t unusual. But that still isn’t the point. The people I’m working with include nearly every ethnic and National origin you can think of. Even attempting to list them would do a disservice to the variety. The differences in nation or language of origin have no effect on the work ethic of the people picking and packing or shipping those boxes with that iconic little smile on the side. Nor the goodwill and respect shown to others around them. Pickers and packers have quotas to keep up with. Are they fair or unrealistic? I’m neither a picker or a packer, so I couldn’t say. But what I will say is that they work hard. So do the the people supporting them, the “Water Spiders” that keep them supplied with boxes and other packing materials, and move countless full and empty totes around. Shipping crews that stack and move pallettes of goods onto trucks, or unload product for stock coming in. Maintenance crews that repair the things that are supposed to move and don’t, or the things that do move and aren’t meant to. Operations personnel that monitor what’s going where, and how fast. Training personnel that are constantly making sure that everyone is certified, trained or properly instructed on how to do their jobs (and on others if they want). Team leaders, Safety, or the numerous other jobs and skills necessary to make something this big run properly. Teenagers, new College graduates, retirees looking for supplimental income (or maybe for something to do because 70 is just too young to retire and sit around doing nothing). These are the people this little essay is all about. I’m not going to make any political statement other than to say, America, it’s right here. Hard working Americans. In any large group of people, there are bound to be personllity conflicts. However, saying that, I have yet to see two people arguing. In fact, I see on a daily basis someone walking by and helping another associate out as they pass. Clearing a jam the other person can’t reach, helping with a heavy lift. Stepping out of the way and pausing a task so someone pushing a heavy truck or pallet jack can get by. Small acts of acknowelegement and consideration of the people around them. And you really should be in the break room when 20 or 30 microwaves open and release the smells of home cooked meals from 6 of the 7 Continents. If you couldn’t think it would get any better, the coffee machines that serve Cappuchinos, Macchiattos, hot chocolate and other variations are free! Over the last few weeks, I’ve been working with (for?) the infamous Stephen (Tag) Loomis of WimAmp and SHOUTcast fame, on a little project called GridTracker, I have been also distracting myself with some camping trips near my house, I was looking at these rv accessories the other day and I sparkled my camping desire again. There is going to be a bit of an upfront cost to camping; you do need a few basic things. You can go super cheap and just buy some garbage at WalMart that’ll perform just fine on one trip, so long as the weather’s good, or spend a little more money on quality stuff that’ll last a long time, across many trips and keep you comfortable even if it storms or it’s colder than expected. I love camping and when it rains I use the best tent for rain. Let’s define some basic parameters for quality gear that’s good for car/motorcycle camping and trips that may require you to carry it for very short distances, check the following website https://kirklandrvsales.com/ for more information. Big backpacking miles, https://kirklandrvsales.com/involving travel on water or anything extreme will require a little more gear specialization, but you can totally start with this stuff, develop an idea of the kinds of things you like to do and want to try and scale into a more complete, sophisticated camping gear setup over time. 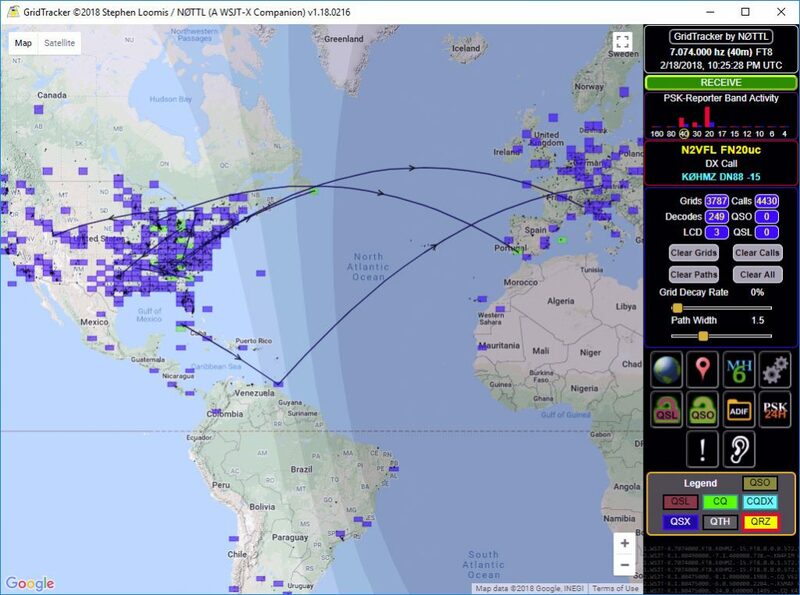 In just over two weeks we turned a small companion program to WSJT-X (Made right here in NJ. Princeton to be precise by Joe Taylor, K1JT. ), into an even bigger companion program to WSJT-X. In short, it visualizes received traffic on FT8, JT65 and other digital mode transmissions on the amateur bands. All very technical stuff. You can find it at tagloomis.com. If you understood what the last few sentences said, you really should download a copy (it’s FREE!). If not, WTF, pick up some radio books and get your amateur license! For other business related article that you can also enjoy just visit this blog a list of casinos for Canadians. If you need services who can provide web related solutions for companies in a variety of industries. This article – WebDesign499 know the most important thing is that the work and services we provide are focused on results, conversions, and a strong return on your investment. Visit this marketing company and check their service offered when it comes to creative branding and it’s effectiveness. Online marketing isn’t something new for small businesses to consider anymore. In fact, it’s quite the opposite on eloqua comparison… having been going on for years and seemingly has no end in sight. Yet, far too many small business owners neglect how important online marketing is for their business success. Among the reasons this seems to be is time. Another money. Moved here. And yet another is that they don’t care. The reality is, however, customers do care and in order to be relevant in today’s crowded marketplace, being online is a must. Check bluehatmarketing.com/seo-services/ for more information. Want some yo mama jokes? We have free online! If you want to know the fastest and easiest method to setup Amazon store, visit internetincome.net and learn more. Dr. Leonard Miller, MD offers services that will improve the visible signs of aging in the face. Know more about natural face lift by visiting the website directly. First of all sorry for taking so much to thank you guys, I got distracted playing Basketball. Thanks to Janelle Smith for sending me a copy, and all of the people at the Burlesque Hall of Fame for including Michele Marshall (Mom) in this years program. Michele Marshall Forte, my mother, NJ left us peacefully on September 23, 2013. She was born on May 10th, 1926 near Travillians VA, and survived two marriages, first to John Marshall, and then Anthony Forte. Michele became a top performer on the burlesque circuit during the 40’s and 50’s working under the names Michele Marshall, Bonnie Blue, and Divena which she performed on the Ed Sullivan Show, and was also featured in LOOK Magazine. She worked mainly in the Chicago area, but also was a featured performer in clubs in New Orleans, Havana, New York, and Miami. 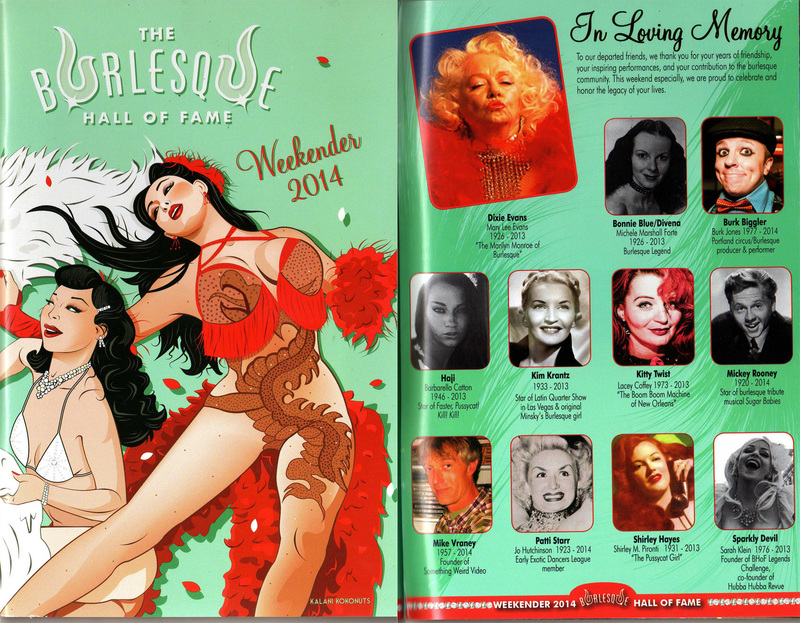 She is also an inductee in the Burlesque Hall of Fame located in Las Vegas. She lived a more interesting life than most of us can ever dream of. I’m working on a new bodybuilding project. Unlike this blog and a couple other things I’ve done, this one is open for the community to help. To help you on your casino online gaming business you can visit Rizk casino games for guides and advice. GatHub is designed to be a repository of open source 3D and CAD designs for weapons, and related files. I’m seeking people willing to spend time helping create a unique image for the site, they need to have good transportation as an unu scooter at least to get to work. Right now it’s a blank WP install. Logos, layouts, artwork, etc. are all needed. I’m also looking for people with experience in 3D printing, CAD, and any other related skillset that might be of help with the site and it’s contents. I’ve been answering questions in IRC about some simple antennas to replace the stock antenna that comes with the DVB-T dongles. The design is one I’m currently using and the performance is pretty good for a 15 minute build. See the link in the SDR page. Related Article: gain weight using top top steroids for sale. Because of an update to wordpress, the template that I was using no longer functioned properly. Since I had to update things, I also made a couple pages specificly for SDR (software defined radio), and the Raspberry pi.